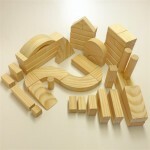 To make your choice easy, most of our Blocks are sold in sets. 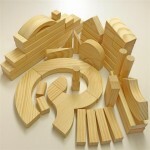 There are sets for the home and sets for kindergartens. 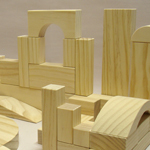 All sets use a selection of blocks from the same range that has proved immensely popular over many years. 10% discount when you buy 2 or more of the same Set! 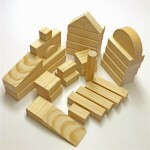 By the way, if you want to add any extra blocks to a set, our whole range is available separately. So many ways to build your unique collection! Just choose your set here, then click the 'Loose Blocks' link on the left for your 'extras'. 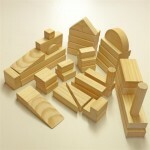 A great starter pack of 31 of our beautiful solid wooden blocks. "They're just like the ones at k..
With the addition of some fancy shapes, Set 3 introduces even more block-play possibilities. This..
Curves and switches and extra-long straight blocks make Set 4 special! This set contains 54 block.. If you're operating a kindergarten, pre-school or child care centre you're almost certain to be fami..